Popular Bible stories from the bestselling The Beginner's Bible in the proven I Can Read format for introducing young children to the joy of reading. Mary is going to have a special baby. When he?s born, God?s angels tell everyone the good news. But the king isn't happy at all. What will become of Baby Jesus? 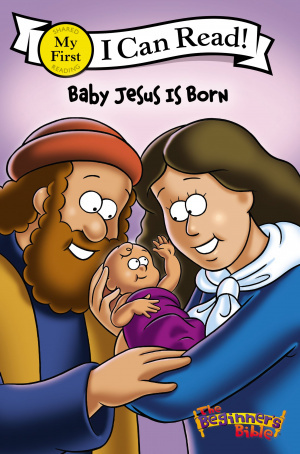 Baby Jesus is Born by Kelly Pulley was published by Zondervan in September 2009 and is our 20073rd best seller. The ISBN for Baby Jesus is Born is 9780310717805. Be the first to review Baby Jesus is Born! Got a question? No problem! Just click here to ask us about Baby Jesus is Born.